The truth is you might not think about your commercial roof very often, after all it’s not exactly the face of your business. In fact, it’s generally recommended that you get your commercial roof inspected at least twice every year. Of course, since we live in South Louisiana where the elements such as summer heat and hurricanes are harsher than they are in other places, then it might be advisable to have an inspection conducted more often than this. Commercial roofing systems aren’t cheap, which you likely know if you paid to have the roof installed on your commercial space. While it might not be the most glamorous part of your business, you should come to think of it as a luxury car, given the price tag. Just as you’d want to take that car in for regular check ups and oil changes, you should want to have your commercial roof tended to regularly. This ensures that your commercial roof lasts as long as it possibly can. Your roof isn’t shielded from the elements, because it’s there precisely to shield your business from the elements. While any roofing system will claim to be extremely environmentally resistant, the simple fact is this: All commercial roofs, no matter the quality, will degrade over time due to weathering, and often unevenly. Having regular inspections conducted will reveal the effects of this weathering, and give you the opportunity to make repairs and to extend the longevity of your commercial roof. Think about all of the things your roof protects. What expensive equipment and products do you have out on the floor? How about those computers and servers that you sunk so much money into? What about your office supplies, your furniture, and your carpets? If your roof is allowed to degrade over time, then it’s necessarily going to leak, and water is the mortal enemy of pretty much anything that could be underneath your roof. Regular roof inspections can reveal potential leaks before their ever allowed to develop, and protect all of the stuff your business has invested its money in. No one wants to spend money on repairs. We didn’t check, but we’re pretty sure that this has been true since the beginning of time. But it’s important to remember this: Having repairs done to your commercial roofing system is a lot more cost effective than letting your roof suffer from neglect over a prolonged period of time, only to be replaced at a later date. By having regular inspections conducted by a qualified roofing contractor, trouble areas can be identified and addressed. While you’ll have to spend money to have these issues fixed, think about how much money you’ll be saving in the long run. 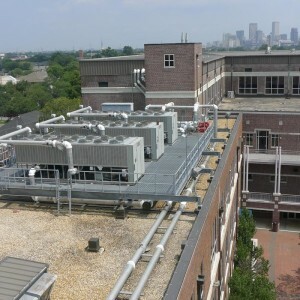 Most commercial roofing systems offer benefits that are in excess of simply protecting your business from the elements. In fact, many of these commercial roofs serve to keep your business cool by reflecting UV light, and may also include skylights that flood your commercial space with natural light, negating the need to run electric lights during the day. These benefits help to keep your business’ overhead down, but they can only do so if your commercial roof is working as it’s supposed to. Regular commercial roof inspections can reveal issues with your roofs fringe benefits, and can help to make sure that you’re getting the reduction in your business’ overhead that you signed up for.